Self-Build Zone will be exhibiting at the National Homebuilding & Renovating Show in Birmingham this month. 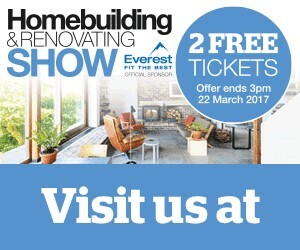 Make sure you come over to the NEC from the 23rd till the 26th of March to attend the go-to exhibition for self-builders and renovators. Self-build specialists, renovation experts and leading brands are all under one roof at the National Homebuilding & Renovating Show this month. Self-Build Zone Insurance are pleased to announce that they will be exhibiting once again, sharing their knowledge and expertise on insurance for your project. Whether you are mid-way through a project or don’t know where to start, the Homebuilding & Renovating Show is brimming with bright ideas. This show will ensure that you can get face-to-face consultations, specialist Masterclasses and hundreds of products – all under one roof. Building or creating a home, either from scratch or as a conversion or renovation project can be one of the most rewarding challenges of your life. The type of project you are embarking on will invariably involve a significant amount of investment, so ensuring you have the correct level of cover in place is essential. The Self-Build Zone Insurance team will be available to talk to during the show, on stand E153. Self-Build Zone, the market leader of the Self-Build insurance market, can help you protect your project throughout the build process and on completion with Self-Build Zone’s flexible Site Insurance, Site Survey facilities and 10 Year Structural Warranty policies.